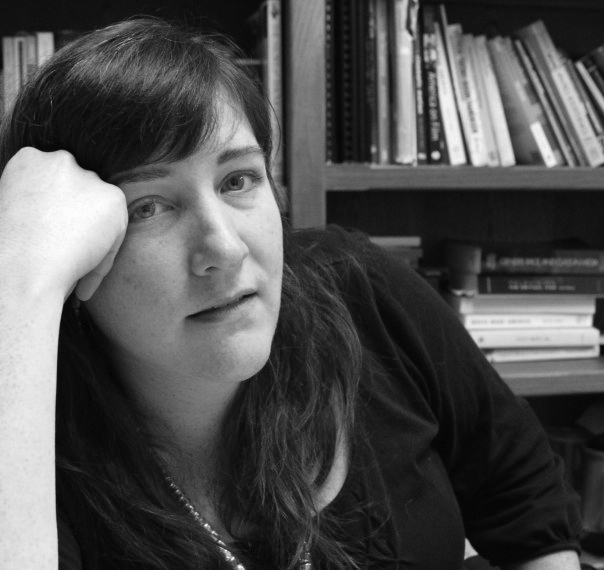 “Resistant History” Caitlin Horsmon aims to reframe political reform as a local activity by collecting stories of progressive change in the Kansas City area and making them available via the web to educators, citizens and artists. Resistant History will map sites of change in the history of our region through the creation of a group of films, a collection of documentation, and a series of downloadable neighborhood “tours” that engage the viewer in the urban environment. It will counterbalance a cultural focus on national elections and politics, by reminding its participants and audiences that our greatest political power may be local and personal. For the initial content for the website, Horsmon will produce a documentary on activist teacher Corinthian Nutter, the Merriam Kansas Walker school boycott and the resulting integration of the Kansas schools in 1948, five years before the landmark Brown v. Board Supreme Court case. This change in the education system happened through the activism of a group of black parents and teachers in response to the local school district building a new elementary school for whites only. In protest, the parents of black students filed a lawsuit against the school district and organized a walkout, in collaboration with the teachers at the school who continued to instruct the students in local homes. The case resulting from the lawsuit eventually was heard by the Kansas Supreme Court. Teacher Corinthian Nutter testified before the court and later said: “I felt it was the right thing to do and that is what I did.” The final outcome was a ruling in favor of the students’ right to attend the new modern school. Horsmon will also work with a documentary filmmaking class at UMKC to create a series of short documentaries that tell the stories of how progressive change was, or is, accomplished locally. These will be published on a website along with documentation of the background research for the films. Horsmon and the students will also create a series of “video tours” of areas of the city with histories of activism, made for mobile devices so that they can be easily downloaded and immerse participants in the landscape of history. Using Google Maps, they will create an interactive map of the city populated with links to the sites of activist history. Class activities will be documented on a blog, and later Horsmon will create study guides connecting the films’ content to larger questions of American and world history. These will be available for local educators to download. Caitlin Horsmon is an award winning mediamaker and artist making films, videos and interactive works. Her films have screened around the world in diverse venues – from the Iowa City micro cinema to the Centre Pompidou. Her film Themes & Variations for the Naked Eye was selected as one of the 50 best avant-garde films & videos of 2000 – 2009 by Nicole Brenez. The Collectif Jeune Cinéma in Paris distributes her work. Caitlin is Assistant Professor of Film & Media Arts at the University of Missouri-Kansas City and is a member of the Women & Gender Studies faculty. Her current long-form documentary project is Pysiognomatic, a 60-minute documentary film that traces the history of the use of the face as a tool to manage identity and measure character. Spanning topics from ancient letters of identity to the current use of facial recognition software in ‘the war on terror’ the film examines techniques of identification in light of their historical moments and considers the human desire to be able to measure threat through outward appearance. She continues to work on short experimental films and to expand her interests in using documentary as a way to encourage and support progressive political change.